When Hattendo opened its first store in the Philippines in the middle of May 2015, people lined up to get a taste of Hiroshima's most popular cream bun! All Japanese sweet bread buns are baked and hand wrapped in Hiroshima, Japan, then shipped frozen to the Philippines, Korea and Taiwan. Thawing is done 24 hours prior to serving/selling, under strict temperature management. The store's design is patterned after Japan's style, with visible wood grain finish. Cream buns are displayed in an enclosed glass chiller, maintaining 5°C, as per Japan's standards for best quality. Hattendo's second store at the SM Mall of Asia opened almost simultaneously with the one at Mega Fashion Hall SM Megamall. And in six months after the successful opening of the first two stores, Hattendo has opened its third store at the Greenhills Theatre Mall. Unlike the first two stores, this one is different because it is an inline kiosk and there is a counter table top across, where customers can rest and bite into the creamy goodness of Hattendo buns. Drinks are also offered as perfect combination to the delicious cream buns. Customers may choose from any of the following beverage: canned coffee, milk, flavored tea or water. All drinks are served chilled, just like the cream buns. Bundle order starts at P250. It comes with 2 pcs cream bun and 1 drink. 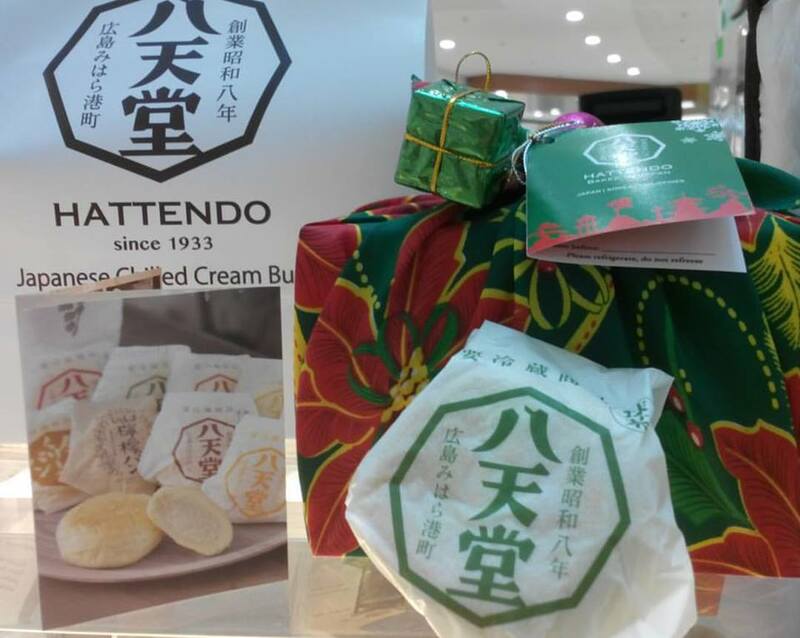 Come visit Hattendo and sink your teeth into the famous Hiroshima cream buns. Give your loved ones something unique, Hattendo Japanese cream buns wrapped in Furoshiki this holiday season!